Today I heard a small business owner pass the following comment; “I don’t do social media, it’s a waste of time and is really tacky”. This comment stopped me in my tracks completely. You see I am of the ‘millennial’ generation, having evolved my marketing skills naturally across digital platforms over the last decade. To hear this from an IT-orientated business owner was quite a shock. By now, the assumption is that MOST businesses have gone digital. 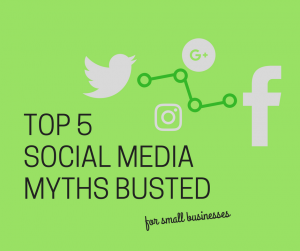 How many small business owners are negating the use of social media due to common misconceptions? Perhaps small business owners are so concerned with the negatives they are overlooking the positives. As a small business, your key concern is ensuring that your ‘solution’ (i.e. your product or service), matches your customers ‘needs’ and ‘wants’. If it so happens that you can capture the right audience for your business on Facebook or Twitter, why would you not use it? In the UK alone there are over 38 million users across social media platforms; around 63% of the entire UK population have access to a social media account. All different ages, locations and interests can be easily segmented and therefore it is very easy to get your message across to the right people. Depending upon the type of audience you are trying to capture would dictate where your efforts are best spent. For example, you are sure to reach a profound number of millennials (born after 1980 and before 1997) on Facebook. However, the days of ‘organic reach’ are over across many social media platforms. Organic reach is the possibility of you acquiring an audience or follower naturally, just through posting updates. Today the best way to guarantee exposure on Social Media is to pay, and you certainly do not need a large budget to get your message out there. 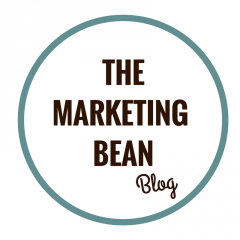 In fact, you dictate how much you would like to pay and simply devise a campaign around it. Social media gives you the ability to reach the right audience, with the right message, for minimal output. A waste of money it is not. I have to agree that managing multiple social media accounts can be time consuming. It is much easier to use an online scheduler that allows you to post to multiple accounts all at once. These systems also allow you to schedule posts to go out, and help find content to publish. Sounds good right? Hootsuite is one of the more popular platforms. I am a big fan of Hootsuite because of its simplicity. The key to optimising your time is to prioritise quality posts over quantity of posts. If you have two quality updates going out each day, it is much better than several irrelevant ones! Ideally you want to create and re-publish content that people will find interesting, entertaining or educational – do not be afraid to have a personality! You do not need to use them all, you just need to use the ones that will work for your brand. All social media platforms capture their audience in different ways. LinkedIn is popular with white-collar professionals and prominent in the over 50’s demographic. Millennials can be found over at Facebook. Twitter is great for business-to-business interactions, and you will find 18-25’s over on Snapchat and Instagram. You will need to find the best platforms that will work for you. Just be aware that, if you try and use too many platforms it could get messy! Sure you may get customers moaning across social media, in fact many large conglomerates have now set up special ‘customer service’ accounts to take the focus away from their official accounts. Think about it this way; wouldn’t you rather have customers moan at you and give you an opportunity to respond? Also consider this; if high volumes of customers are complaining on social media maybe you need to re-think your approach to customer service. Great! You deserve a big pat on the back for embracing some elements of the digital world. However, short of spending your entire marketing budget on Google Ads, how do you plan on driving traffic to your site? Social media is a big part of Search Engine Optimisation (SEO), your website and social profiles should work together effortlessly to promote your online brand. You can encourage this by; sharing links to your website in your social feed, creating your own content on your website to drive traffic through and providing social share and follow buttons. Keep an eye on where your website traffic is coming from via your website analytics software, this will help you understand how successful your social media platforms are in referring traffic to your website. Finally, please remember that each social media channel has its own set of community rules, be sure to give them a read before you set out.